I continue to apologise to all readers as science fiction commitments are keeping me away from my Great War blogging. These are some of the events that have transpired since the last post. 27/1/1919 At the Paris Conference, the Japanese delegation formally states their claim to the territories Japan seized from Germany in 1914: various Pacific islands and the Shantung Peninsula (including the Tsingtao naval base) in China. 31/1/1919 Much to everyone’s relief, fighting between Poland and Czechoslovakia over disputed Teschen comes to an end. 3/2/1919 Jailbreak! Irish nationalist leader Éamon De Valera is sprung from Lincoln Jail, where he was being held since Sinn Féin leaders were rounded up last year. He now hopes to make his way back to Ireland to take charge of the struggle for Irish independence. 5/2/1919 The Ukrainian capital Kiev falls to the Red Army. 6/2/1919 The German assembly meets for the first time since the recent elections. As Berlin is still considered too dangerous in the aftermath of the Spartacist revolt, the assembly meets in Weimar. 6/2/1919 Assisted by British intelligence officer T.E. 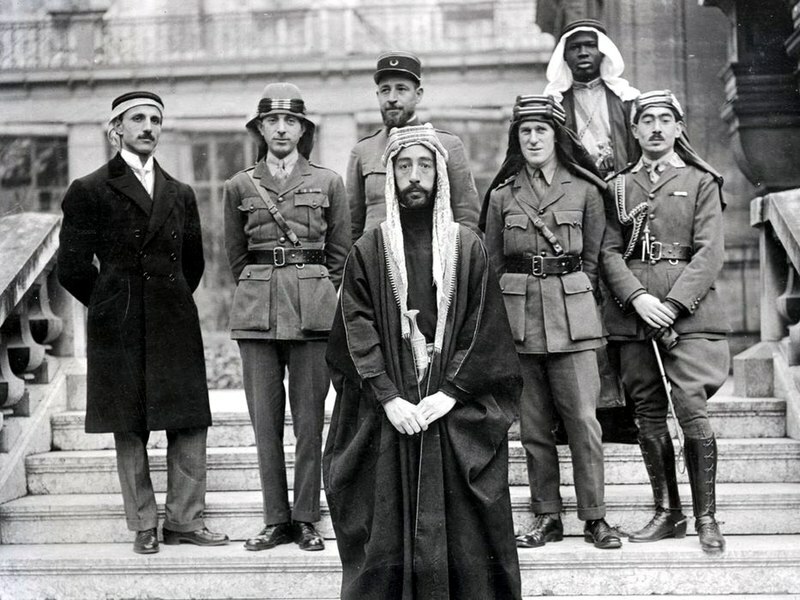 Lawrence, Emir Faisal of Mecca states Arab claims to the Paris Conference. Faisal is seeking an Arab kingdom, led by his father, stretching from Syria to the Arabian peninsula, in line with promises previously made by the British. 7/2/1919 The Italian delegation to the Paris Conference presents their claims to the Dalmatian coast. President Wilson chooses today to formally recognise Yugoslavia, suggesting that Italy’s ambitions are unlikely to be satisfied.